Paris, c.1683. 155 x 110mm. Coloured. 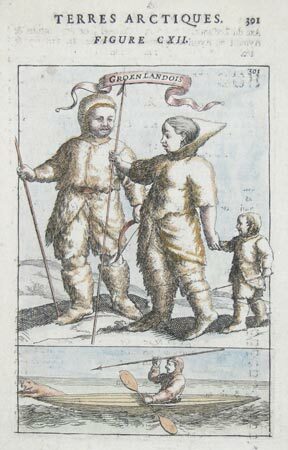 An Inuit couple and child, wrapped in furs. Underneath is a scene of a Inuk in a kayak about to spear a seal.